Looks like an amazing phone based on the spec.. Better screen res than HTC Pro..Don't understand why it's taking so long for SE to release it.. Anonymous, 01 Jan 1970Alright dude, you get Touch pro, and I am get Xperia. 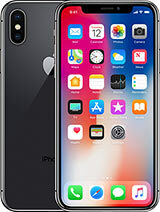 over all how is the phone, is it worth buying. does it hang or restart or is it slow in operation. guys please help me make my mind on these. Hello, every1 hv their own taste. If u dont like SE phone then dont talk it out ! U couldnt force some1 to love ur taste ! What the heck is going on in this earth ??? Anonymous, 01 Jan 1970Yes, but how do you really feel? brynn, 19 Aug 2008Also it the usual s/e battery stamina as well and all these 3 big selling points,,cybershot,,w... moreYou tell other people for writing rubbish reports when you have got no empirical evidence at all that "people", for whom you cannot speak, are finding the Omnia a let down. 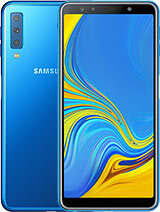 Hey guys what`s wrong with us?why should we try to offence each other for our own opinions?If you like N95 go for it and if u don`t!you just have to wait for X1i! thanks in advance and don`t offence each other for all of those BRANDS Who don`t care about you AT ALL! well,x1 has handwriting recognition nd accelerometer in it...as far as finger swipe navigation nd touch buttons of touch pro r concerned,...x1 has panels nd optical joystick to tackle vid dem...so overall no big difference those gonna make..
thats given it the much needed entertainment boost many windows fans have longed for,,its got a big touchscreen with high pixel density and slim and blingy thats got the plus points..
Mo Ha, 19 Aug 2008I really prefer the X1 but those below are in the "Touch Pro" and not in the X1. Are they imp... moreto be honest. That's make touch pro special. But, IMHO, i don't need that stuft. If you look at bengalboy site, www.bengalboy.com the optical joystick, give you easilly access. I really prefer the X1 but those below are in the "Touch Pro" and not in the X1. SE always delayed their phone, and by the time they finally release their phone, it would be too late (just like what happened to their K850i). concerning all USA- SE - fans, is it true that xperia X1 will asign to AT&T. The phone is very good looking buissness phone. Slick. I think X1 will rocks when it come out.